Glamorous it was not. Backbreaking, long hours bent over a washtub and kettle made this profession perhaps one of the hardest jobs women have had through the centuries. Scrubbing laundry for one's family is one thing but for a company of soldiers? Not an assignment for any fading lily or simpering coquette. So who were these washer-folk who served the Union and the Confederacy during our country's War Between the States? Statistically, they vary. There were men launderers. Convalescent soldiers might be tasked with wash at an army hospital, or the slaves of wealthier officers and soldiers. But most often they were women. Some were freed slaves, contraband, and indentured. Others were wives of soldiers, widows, or even indigent women seeking a modest income and the one-meal-a-day ration the army provided them. Respectable women whose reputation was expected to be above reproach, complete with written character references. The United States army had commissioned laundry service since 1802. During the Civil War the laundress was the most common role for women in the armed services, and dwindled until in the 1880's when the official position was terminated. That is to say, no pay or rations were offered. Some served in garrisons, some at army hospitals, while a number traveled on campaigns with the army. At the height of their ranks, each company of up to 100 soldiers had four laundresses. These four would share an army-provided tent, a hatchet for chopping firewood, a kettle, and two mess pans to share between them. Pay would either be administered directly from the company they served, or from individual soldiers, under the direction of the captain at the pay tables. Their wages preceded the Sutler's in priority. Often they were looked after as sisters, mothers, like adopted family, and they would strike deals for help with hauling water or firewood in exchange for extra care, such as darning or bluing or starching. But there are records of laundresses married to soldiers killed in battle who married again within the company, in some cases more than once or twice. Though wives of officers held a higher social rank, the army laundress held more rights. 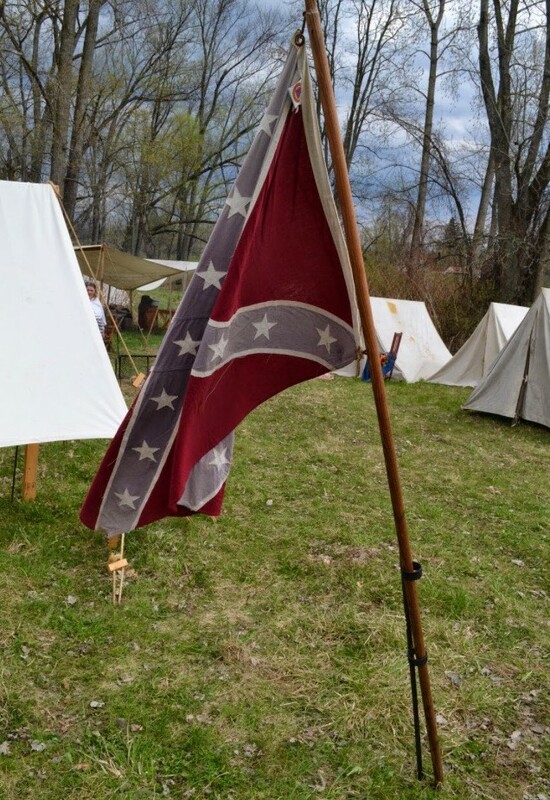 For instance, if an officer was killed, the wife had only 24 hours to vacate, but a laundress wife had six months, in which time she could choose to remarry or continue on in service as a single woman. Some laundresses were not as virtuous as others. As with any other time in history, women living in close quarters with men far from home can produce loose morals even in those not normally predisposed to such wanton behavior. But by and large, laundresses were considered respectable. Wash tubs were fashioned from barrels obtained from the quartermaster, but the average laundress would have to procure her own scrub board, brush, and lye. A ringer would be considered a luxury. In my new book, The Chaplain's Daughter, my heroine is a laundress with the Army of Northern Virginia following the Battle of Second Manassas, more commonly known as The Second Battle of Bull Run. It was a real eye opener for me to enter the world of this often overlooked heroine and her service to the war effort on both sides. I'm offering a GIVEAWAY to two lucky commenters of an ebook copy of The Chaplain's Daughter. Just answer this discussion question to enter: Could you be a laundress if you had few other options? What would be the hardest part to you, or any possible good sides of the job? Drawing April 5 at 8 PM, winners announced then. Bonus entries if you share this post or follow any/all of my pages (see below). Let me know in the comments. Kathleen L. Maher has had an infatuation with books and fictional heroes ever since her preschool crush, Peter Rabbit. “Love Brick by Brick,” a novella with her hometown’s history, appeared in BARBOUR’s 2018 Victorian Christmas Brides collection. 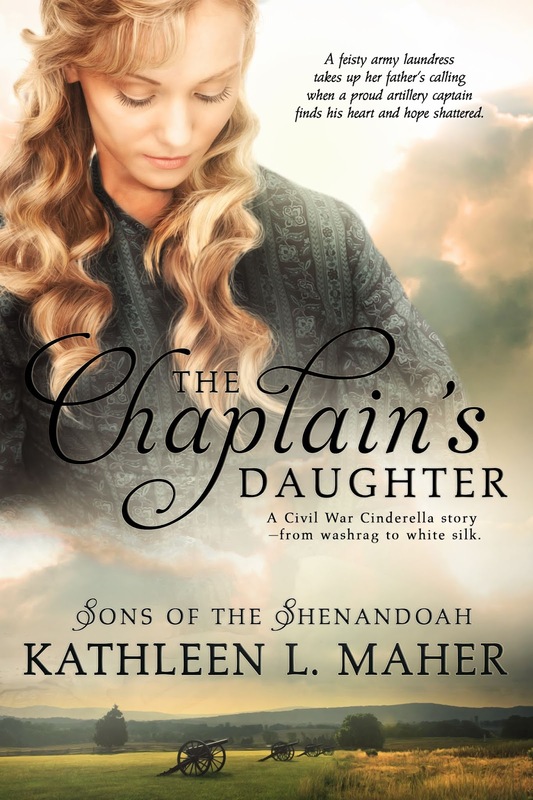 Her Civil War romance The Abolitionist’s Daughter is an Amazon #1 bestseller that won the ACFW Genesis Award, and is followed by Book 2 in Sons of the Shenandoah series, The Chaplain’s Daughter. She has another novella coming out in Barbour’s schoolteacher collection Lessons on Love in Oct 2019. Kathleen shares an old farmhouse in upstate New York with her husband, children, and a small zoo. Although this posted two days after the drawing. I am fairly confident I would not be a laundress. Although lye cleaned clothes it is extremely harsh on skin. I've had times in my life where I've had to handwash al my laundry. Hand wringing strains back muscles. This is a thankless job, often widows opened a laundry because they felt they had no other skills. Her children would help by hanging clothes, picking up and delivering the clothes and even ironing. And although I grew up ironing every week I avoid it like the plague now. Can't imagine heating an iron to press clothes or any of the other manual steps to doing laundry especially for other people. Wash strangers underwear by hand EWWW!!! LOL! Since this wasn't posted until after the giveaway officially ended, I'll still enter anyway. I am so thankful to live in an era of running water, indoor plumbing and electricity! What would I think of an army laundress job... I would be grateful for honest work and "housing" but would probably be beyond exhausted! 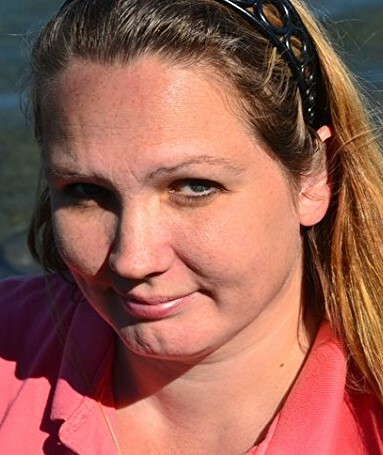 Hi Lisa, thank you for commenting. Yes the drawing is still on. Until the 12th. I must’ve looked at the wrong column. Wrong Friday. This would be a good option to those who wanted to be near their husbands. I'd rather do laundry than enter the actual fights!!! I'm sure the work was hard, but life WAS difficult in those days, and women with families would be used to the hard work. I’m sorry about your arthritis Betti. I did not mean to trigger your aches.You have such a tender heart! These women were a different kind of tough. I’m so grateful for modern conveniences! I think the hardest part for me is bending over a boiling kettle in the oppressive heat of summer in those long gowns. I’d probably faint. This was interesting. I love history and historical fiction. Your book sounds like it would be a very good story. I found this very interesting and although I've learned to "never say never" I don't believe I could have done this. The Chaplain's Daughter sounds great! ACK! Correction to my typo – Ash the drawing will be April 12 at 8 PM! So sorry! Oh what an interesting post. Yes they had it tough, but there must have been a lot of benefits also. Yes I would be a laundress if this was the most respectable option open. I am not afraid of hard work. I love to help others. And I like to talk about Jesus and who He is and why I love Him to other women. I would love to be an encourager to other women. So, yes I would take it. Forget it ... scrubbing houses is one thing .... laundry is a whole different story! I think I'd be the one "stuck" trying the keep the house in one piece back home! Tromping around with a bunch of smelly soldiers in all kinds of weather. I follow you on FB and amazon. Thanks Megan. 😊 laughing at “tromping around with smelly soldiers “. Too true! 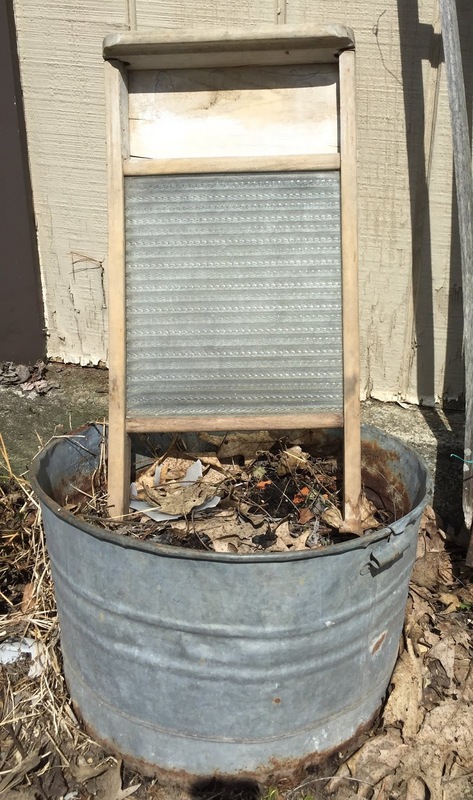 I can’t imagine having any skin left working with lye soap and scouring on a hard washboard. We are so blessed by our modern conveniences, for sure! I suppose the hard work toughens you to endure it. But after spending a summer having to hand wring and hang my clothes the old-fashioned way I don’t think I ever want to do it again! Thanks for entering Jeannie. Good luck in the drawing. Being a laundress would be hard work. Lifting heavy sheets out of the large pot would be tough. Working outside could be both a blessing or a cursing depending on the weather. I am sure if I had no other choices, that I would do what I had to do and be a laundress. I can only imagine the hard, backbreaking work that goes into that though. When we were visiting another country and I needed to wash clothes for 6 by hand...it was not an easy task. And that was with a nice place to do it in, with good soap and a bathtub. I think lifting all of the soaking wet items would be the hardest. Trying to get them hung to dry would be hard to do...especially if you're doing it alone. Thank you for the giveaway opportunity! Hannah you sound like a saint yourself. I did that for a couple months the time my washer broke and it was brutal. I'm pretty sure it wouldn't be the job for me. :/ Although I don't mind doing laundry today, back then it would mean literally working your fingers to the bone and standing for hours to boot...some o the disadvantages. While the advantages would be they would have clean clothes which was needed for their health even though I doubt they thought of such things then. It definitely would feel like an accomplishment when the clothes were done...if there's ever a case when laundry is truly done! :) I can't wait to read your book, by the way! It sounds like one I would love as it's my favorite era! <3 Best wishes on growing your readership! Thank you Bhriv. Don’t forget to leave a way to contact you in case your name is drawn. You can leave your email in the comments. One thing I found in my research is that the sanitary commission did understand the value of cleanliness, and would sometimes provide equipment for the laundresses. And there was one matron in particular that the soldiers called Mother Bickerdyke who fought for clean conditions. She was ahead of her time. And our winners are Connie Porter Saunders and Caryl Kane. Thank you ladies for entering and for bearing with me though I put down the wrong date. I appreciate everyone who came by.